Happy Republic Day to all of my fellow Indians! As we celebrate freedom and remember the day Constitution of India came to effect, let us remember multiple aspects related to this freedom. People like Dr. B.R. Ambedkar, the father of Indian Constitution who later decided to exercise his freedom to practice any religion of his choice and converted to Buddhism. He reminded us that no one is born in to this world with a religion, but accepts one religion or other when he/she grows. Selfless service of people like Graham Staines who left his home land to serve poor people of India and cost of such love to a forsaken people. The freedom of religion we have here in this land when many other lands gone through numerous challenges to freedom. 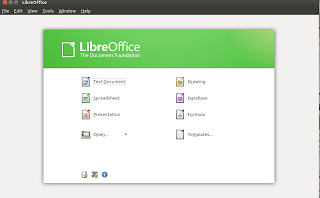 Just a day before we celebrate Republic Day, The document foundation announced LibreOffice 3.3, new fork of popular free OpenOffice.org, thus declaring freedom of choice in matters of software options outside the grip of software corporations. LibreOffice 3.3 also incorporates all the new features of OpenOffice.org 3.3, such as new custom properties handling; embedding of standard PDF fonts in PDF documents; new Liberation Narrow font; increased document protection in Writer and Calc; auto decimals digits for ‘General’ format in Calc; 1 million rows in a spreadsheet; new options for CSV import in Calc; insert drawing objects in Charts; hierarchical axis labels for Charts; improved slide layout handling in Impress; new easier to use print interface; more options for Changing case; and colored sheet Tabs in Calc. Yes friends, let us celebrate freedom in the world of office suites!